Stand out from the crowds with one of these fun, colourful suitcases, after all having stylish luggage is all part of the fun of travelling! Hello colourful suitcases! Growing up my family had a collection of beige, black and navy suitcases. Luggage was purely practical – just to carry our worldly belongings from place to place. These days suitcases are SO much more than that. They’re designed to make our lives easier. We’ve gone from two to four-wheeled cases, which has made our luggage so much easier to transport from home, to plane, to hotel. When researching this post I found very few soft cases. Most big luggage brands are choosing to design hard cases, which offer a great deal more protection to the contents. 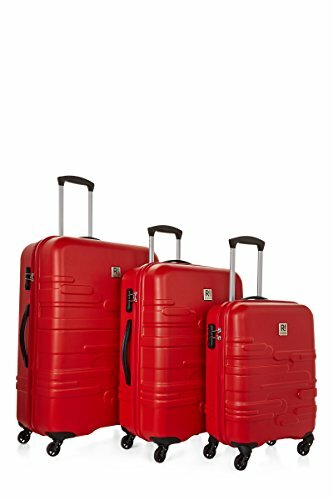 Another game changer has been the creation of incredibly lightweight suitcases – luggage sets that you don’t have to lug! This post contains affiliate links whereby I may earn a small commission at no extra cost to you. But one of my favourite things about suitcases these days is how colourful, creative and stylish they’ve become. They’re an extension of our outfits. 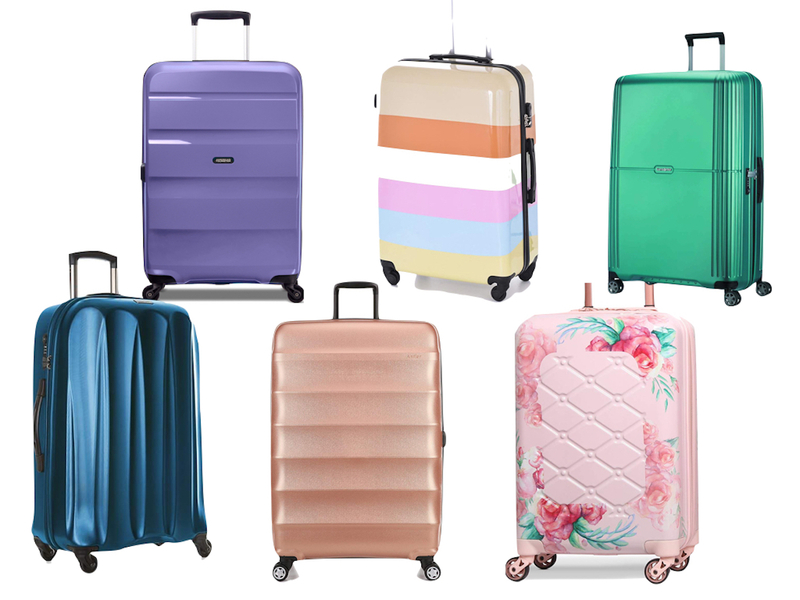 There are colourful suitcases in every colour of the rainbow… they’re matte, they’re metallic, they’ve got designs on and more! Oh and there’s no chance of getting your case mixed up at the airport when it’s as bright as some of the ones in my shopping guide. 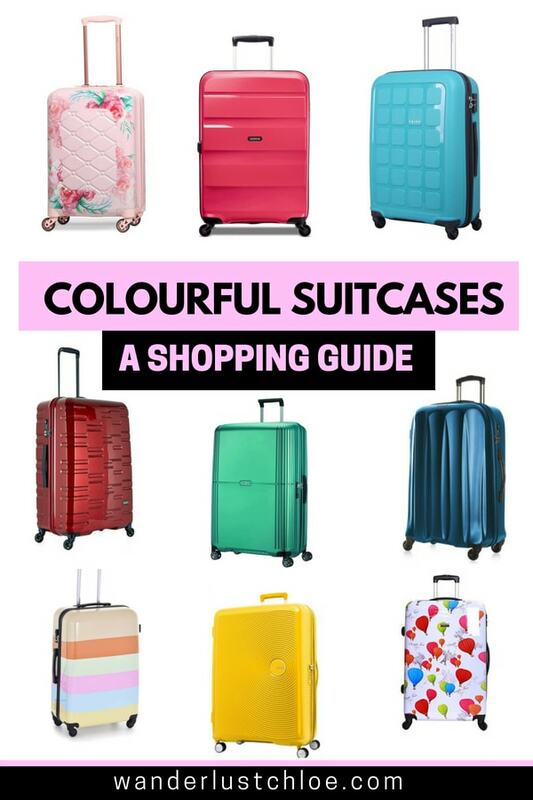 So, to save you time, I’ve popped together a guide to my favourite colourful suitcases around. Whether you’re looking for a cute carry on case or a large suitcase suitable for a two-week holiday, there’s something for everyone. American Tourister is my go-to brand for colourful suitcases. They bring out new ranges a few times a year and Bon Air is one of the most fun yet. This range of four wheeled cases is practical, stylish and nice and lightweight too. It’s made of Polypropylene and has a TSA lock, lots of pockets and feels durable. 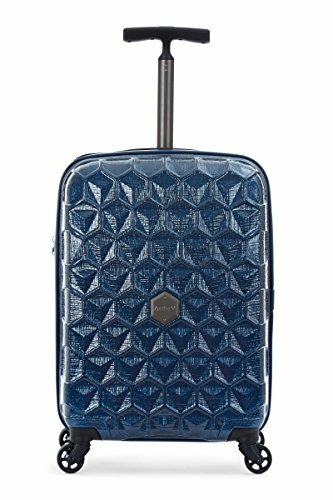 Suitcase Size: This case comes in a small, medium and large – perfect for any travels you have planned! Colour: So many you’ll have trouble choosing your favourite, from emerald green and solar yellow and lilac to fresh pink. 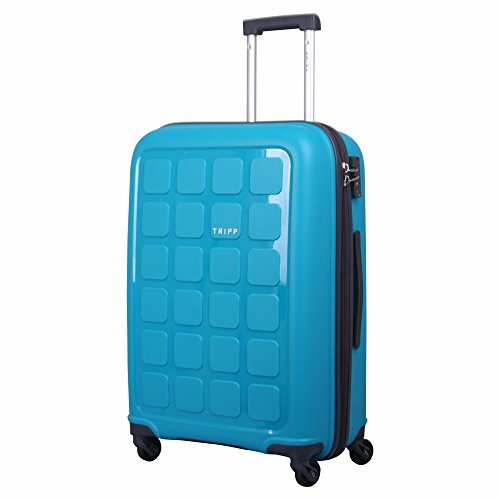 If you’re looking for a cheap option in a bright colour, forget looking at Primark suitcases, take a look at Tripp’s luggage. A medium case will only set you back £42 at the moment (hello suitcase sale!) and considering these cases are lightweight, four-wheeled and have a stylish appearance, I’d say you’re onto a winner! 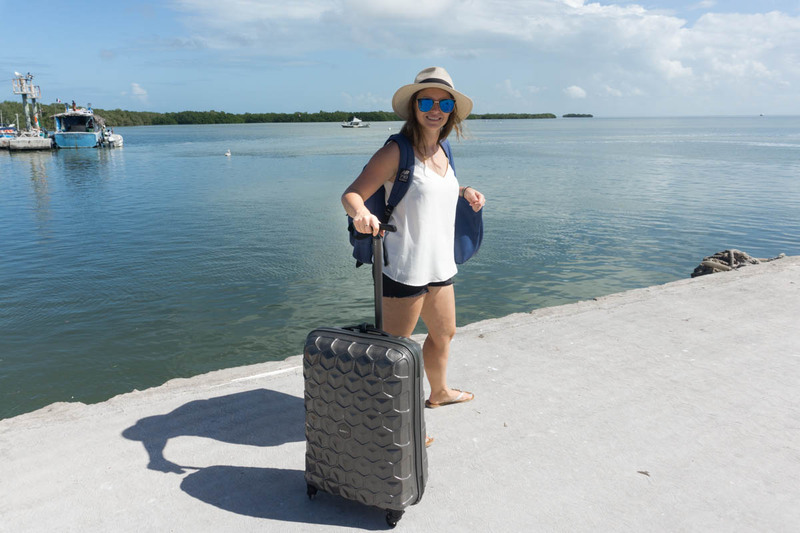 Size: This case comes in a small, medium and large – perfect for any travels you have planned! I’m the proud owner of one of American Tourister’s Soundbox suitcases and I love it. It’s another super lightweight case, has four wheels and feels roomier than other cases of similar size. 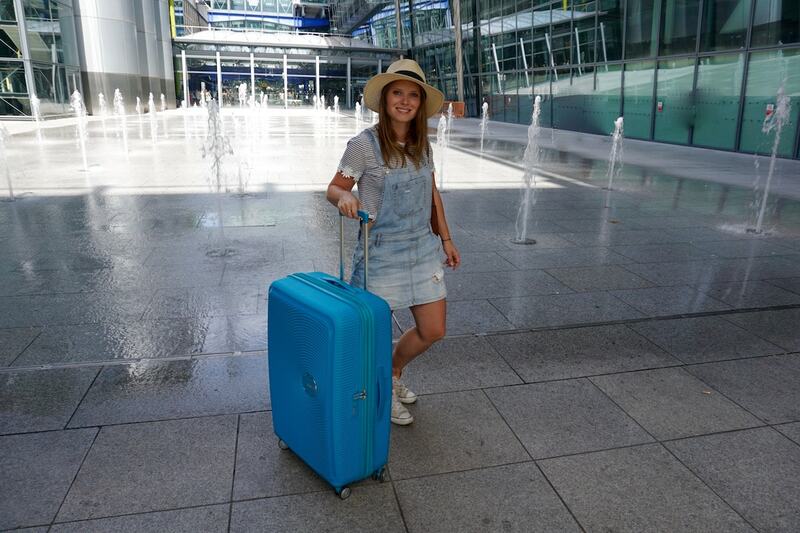 I went for the ‘summer blue’ – a fun and vibrant colour which I can spot for miles when it’s on the luggage belt at the airport! The range comes in tonnes of colours, from yellow to purple and green to pink, so you’re bound to find one that sings to you! Colour: This case comes in so many colours, including pink, orange, turquoise, blue, yellow and more! What a stunner! 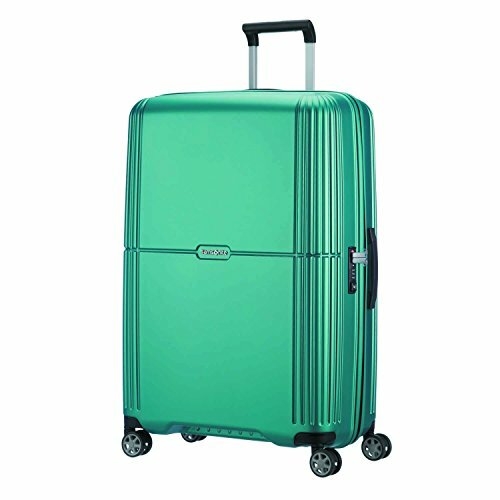 Orfeo by Samsonite is made from Makrolon polycarbonate and has a smooth scratch-resistant texture. Another great four-wheeler, this high quality case comes in three vibrant colours along with black. It’s the most expensive case on the list, at just under £200, but lets just say that quality comes at a premium! A few years ago the world went mad for rose gold. We wanted rose gold phone cases, cars, jewellery and more. 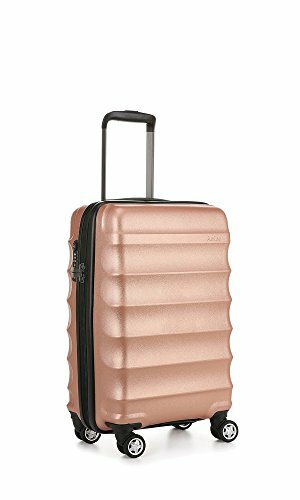 That’s obviously been noticed by luggage makers who have launched ranges of rose gold suitcases. Consider this bandwagon well and truly jumped on! The Antler Juno case comes in three sizes, and has the quality you expect from a brand like Antler. Size: Small, Medium and Large, plus you can also buy a set of three. 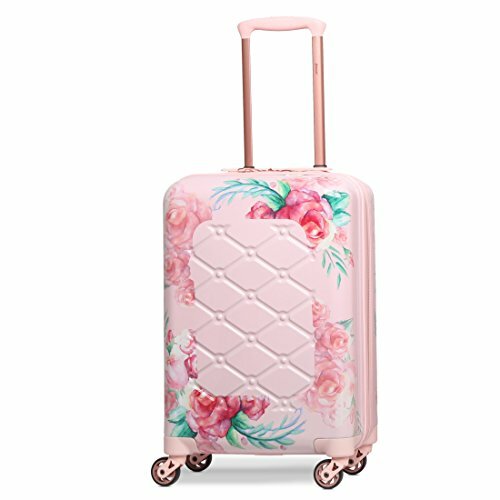 Fancy a girly suitcase? This one by Aerolite is cute and feminine, with its pink colour and rose design. It’s approved as cabin baggage, so will make the perfect accessory for a long weekend away. As mentioned, I’d recommend Antler if you’re looking for long lasting, high quality luggage. Antler’s Prism is a smart hard suitcase made from a high shine Makralon Polycarbonate. The big reason for including it is for its beautiful colour – this deep burgundy red. 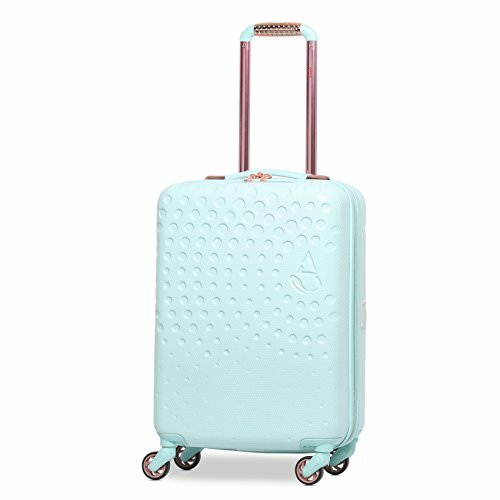 I love the colour and style of this Aerolite suitcase, with its peppermint green exterior, and pinky/rose gold handles. To set this apart, this is the only case I’ve included with a built-in USB phone charger port – pretty smart! Well, this is never going to get mixed up on the luggage belt at the airport is it? 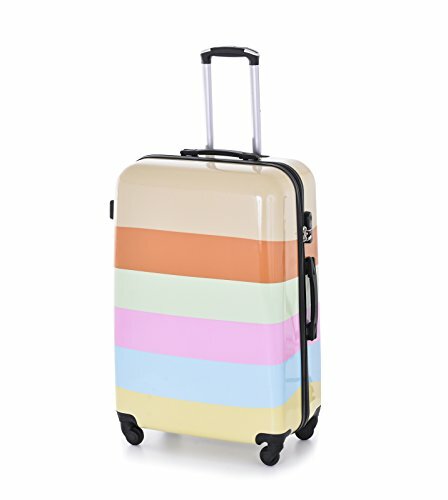 This super fun multi-coloured suitcase is one of the most playful designs I’ve found. This is a large, so it’s be a great suitcase for a family holiday. One of my favourites on the list! I’ve had my Antler suitcase for a year now, and it’s been to so many places with me, yet it isn’t showing its age at all! While I have the silver version, I really love this shiny blue version too. 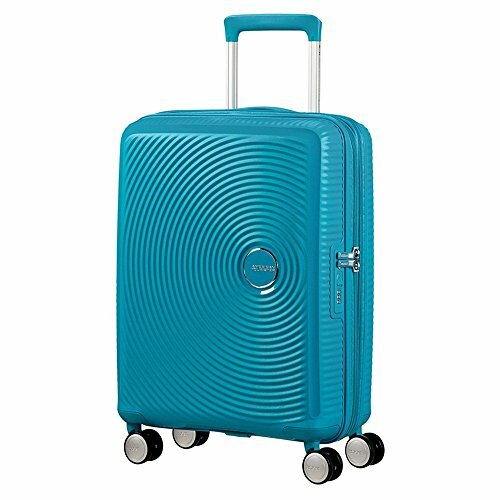 It’s one of the lightest suitcases around, at just 2.4kg and comes with a 10-year warranty. 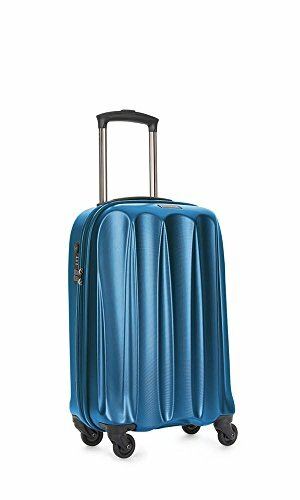 I wanted to share a few of the colourful luggage sets I’ve found too. I’ve had Revelation cases in the past, and found them to be really durable. 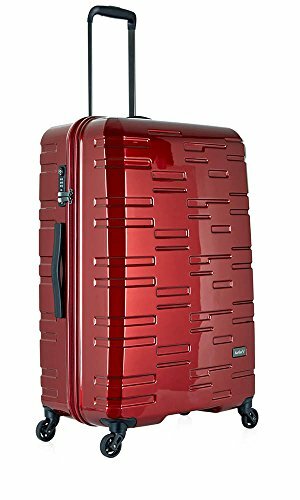 The Revelation Amalfi red suitcases are really smart, with 360 degree rotating wheels and a lightweight outer shell. I spotted that along with red they also come in bright blue and yellow too! Colour: It’s all about the bright colours, these come in bright red, blue and yellow! How much fun is the design of this suitcase? 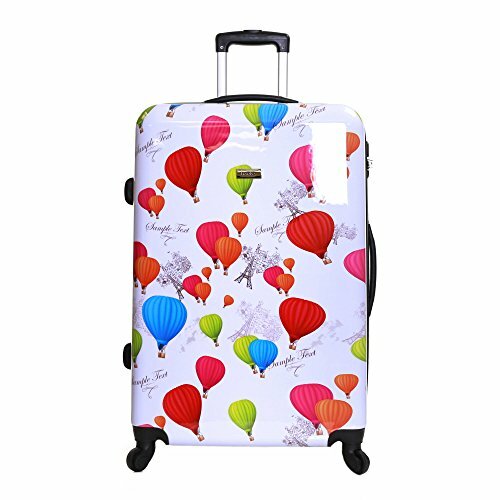 This Karabar luggage has a colourful hot air balloon motif, is lightweight and has a durable hard case. 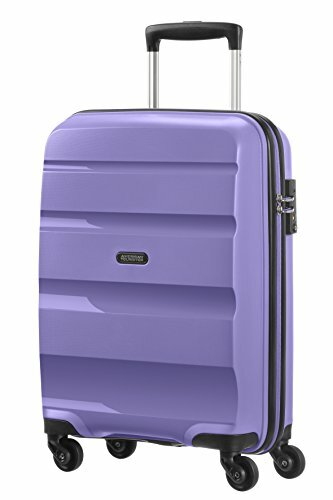 It’s also a really cheap suitcase considering this is one of the largest on the list!